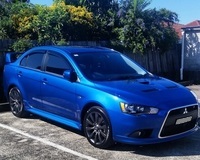 Im looking at a few ralliarts ranging from 2010-2014 and hoping to buy in a few weeks. Theres one that im really interested in at 57000kms for 26.8k do you think I can negoiate this price? I had a valuation done online and it said 24k or so was the lowest, so I was hoping to get it for around 24.5k? Since its with a dealer I'm not sure. From these date ranges are there anything in paticular i should look out for? Apart from the transmission. Since its from a dealer im a little worried they're quite pushy. Tunehouse is where I would go for my mods as Ive taken my previous car there (corolla.lol) for servicing and they do a great job. 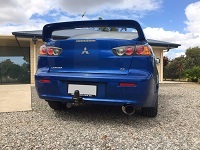 They also have a package called spec C i believe that comes with a full dump pipe exhaust system, their own air filter and a tune which they've mentioned would get me about 200atw a lil less maybe. I want to upgrade the blow of valve sinve Im a huge fan in hearing the turbo spool from cars. I heard a fuel pump upgrade would be pretty good but I don't know too much about that. Its going to be my daily driver. So I want good use out of it? I just mainly want a lil kick when I accelarate and something that can help me overtake quickly haha, and some good power on the highway when I want to kick it up a notch. Any help is appreciated. Actually if anyone lives around Sydney/ revebsy area it would be awesome if they'd want to actually look at the car with me. Since this is my first turbo. fm79001 wrote: Theres one that im really interested in at 57000kms for 26.8k do you think I can negoiate this price? I had a valuation done online and it said 24k or so was the lowest, so I was hoping to get it for around 24.5k? Since its with a dealer I'm not sure. I would recommend you never accept the asking price.. Especially with dealers. Go to them and ask what their best price is. Usually they will try to do something for you, even if a couple hundred, or some extras thrown in.. Anyway, always try to deal down. Worst they can do is say NO, and you either accept their offer or walk away! Is anyone able to tell me what to look out for? Im looking at a 2014 and 2010 model this coming weekend. Any advice in terms of mods as noted above? Feel free to get an independent mechanic to look over it. Might cost a small $$$ for this to be done but peace of mind is worth it. And the warranty they offer for 2nd hand vehicles they charge an extra few grand for on top of the purchase price isnt usually worth the paper its written on. stock turbo 98 your looking at 180kw absolute max, plus unless the are familair wit hthe sst gearbox i wouldnt let them tune your car! Just in regards to your reply Shaun,they didnt say i would get 220 atw.thats just an idea of what I wanted. They mentioned that 200atw would be the possible outcome. And yup i have arranged for a mechanic to look at it the 2014 model for me. Shaun Patterson wrote: stock turbo 98 your looking at 180kw absolute max, plus unless the are familair wit hthe sst gearbox i wouldnt let them tune your car! This. Recently purchased a '14 RA myself and when I plan to do work I'll be taking it to BJP or RP Customs. 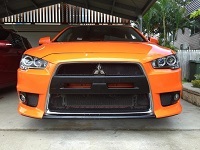 They're both really well known in Sydney for dealing with SST and iirc BJP has the fastest stock turbo RA in Aus. Things to look out for are timing chain being stretched on the older models, SST fluid changes, and in general all fluid changes and servicing. I think AWC pump was an issue in older models too so you couldn't switch between gravel/snow or something. Look to see what fuel pump relay it has Panasonic black or I think orange are the latest. Oh yeah and that all warranty issues are up to date. Have fun learning about it, there's a lot of info out there. 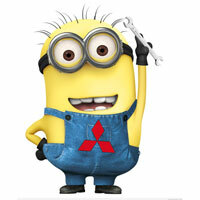 There's also a fb group, if you use it, called Ralliart Revolution, with tonnes of info. Yeah the one thing I wish I had done getting my used CJ was get a load approved else where first and then haggle on the price, but lesson learnt for next time when hopefully I'll be in the market for a good RA!